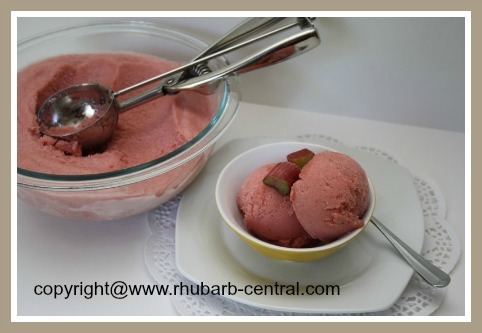 This Homemade Rhubarb Sorbet Recipe for an Ice Cream Maker Machine makes a scrumptious sorbet that is light tasting, refreshing and made without any cream or dairy. 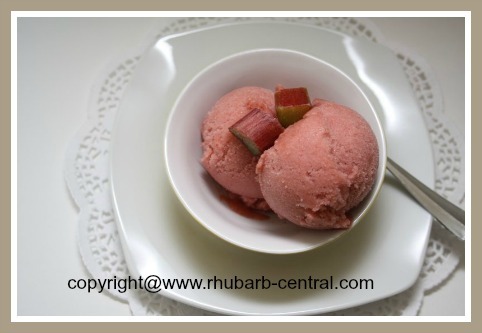 I made this delicious sorbet last week with the last rhubarb harvest of the season. This recipe makes a lovely frosty rhubarb dessert ... the perfect concoction for a warm summer's day snack or dinner finale. 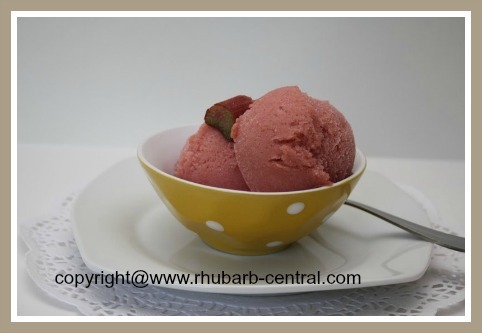 If desired, you can prepare the rhubarb puree a few days ahead of time, and store it in the refrigerator until you make the sorbet. Add the chopped rhubarb, sugar, salt and lemon juice to a large pan. Add 1 cup water and simmer over medium heat for about 10 - 12 minutes until rhubarb pieces are tender/softened. 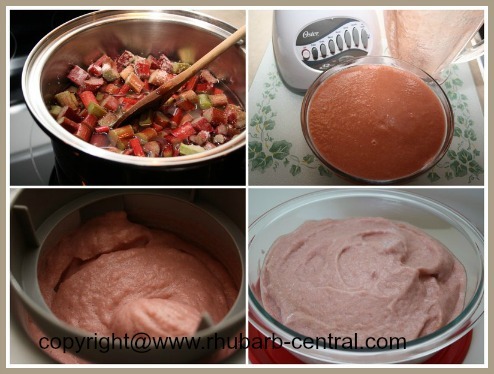 Puree the rhubarb mixture in a blender until smooth (about 1 or 2 minutes) and then allow to cool. (You may decide to make this rhubarb puree a few days ahead of time, and store the puree in the refrigerator). Transfer the rhubarb puree to an ice cream maker and process according to manufacturer's recommendations. (I processed the mixture in my Cuisinart Ice Cream Maker for about 25 - 30 minutes). When finished, transfer the sorbet to an airtight container or a bowl with plastic wrap or tight fitting lid, and store in the freezer for 2 - 3 hours, (or until firm), before serving. Remove and hold at room temperature for abut 10 minutes before serving. 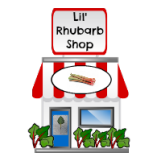 Enjoy this frosty rhubarb treat! 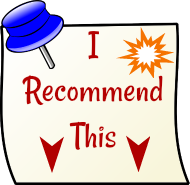 I ♥ Love my Cuisinart Ice Cream Maker, and I highly recommend it to visitors to Rhubarb-Central.com! 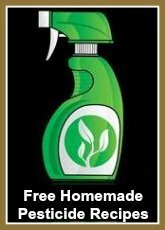 This product is available for online purchase at *Amazon.com - a GREAT Gift Idea too!